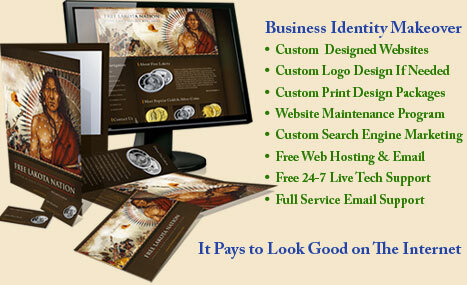 Your Website Is Your Image To The World! So ask yourself a question…. Would YOU want to do business with a mediocre or unprofessional company? You don’t have to do this alone! We will work with you closely in order to create the vision for gaining an elegant, professional image – (your brand new unique and exceptional website).You will stand above your competition! The results will be EXCEPTIONAL! We utilize the vast skills of our highly talented design team to generate custom graphic designs, create a catchy logo (if you need one), while using alluring color schemes and sharp, clear photos of your products and/or services merged with concise, well-written copy. Prospects will be impressed with your image (Website). The design phase of your web site is one of the most crucial aspects to the success of your web site. Studies reveal that potential customers can be won over or lost within the first 10 seconds of arriving at your web site…, or lost FOREVER! Easy to navigate! Your website needs to be well organized and user-friendly so that potential customers are instantly engaged. It should be easy to find exactly what they are looking for when they navigate through your web site.